Oh K-State . . .
Why would you bring Snyder back? He is old! His miracle days are over! I couldn't even watch the whole thing! Who does he think he is? King Poobah? How me me me was that? Oh I'm sorry. I guess he did talk about the family. The Kansas State family. The people who showed up back in 1987 and 1988. Those are the people who really care. It's too bad you don't really care about them. I was at those games. My grandparents had season tickets and we used to be surrounded by the same fans for years. 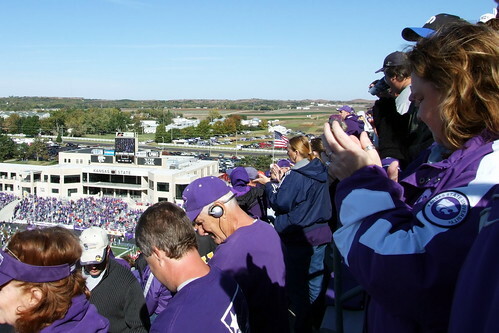 As K-State started winning games and prices went up, we started sitting by more and more total strangers. And shut up about the equestrian team! My mom will start raving about how they got rid of swimming for horses!